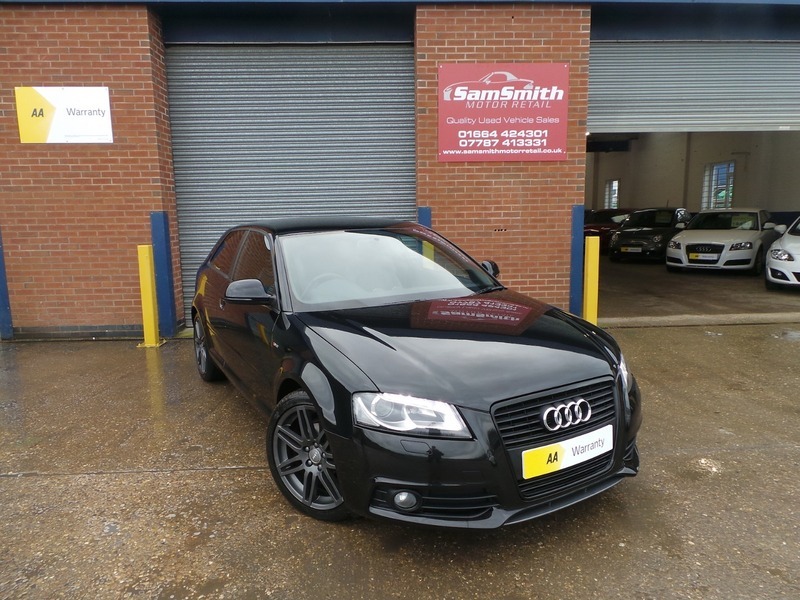 We are proud to offer for sale this stunning Black Edition Audi a3. Looks amazing in black with the upgraded 18" alloy wheels. Immaculate condition throughout and a fantastic Audi service record to go with it, including the all important cambelt and waterpump. This car really is a credit too its former keeper! 4 brand new Goodyear tyres just fitted. All of our cars go through a very thorough workshop inspection, get freshly serviced if needed and come with a 3 month fully comprehensive (parts and labour) warranty and AA cover. Every car we sell is HPI clear with certificates to prove. LOW RATE FINANCE DEALS AVAILABLE. Open 5 days a week and weekends by appointment. Please call for availability & viewings.